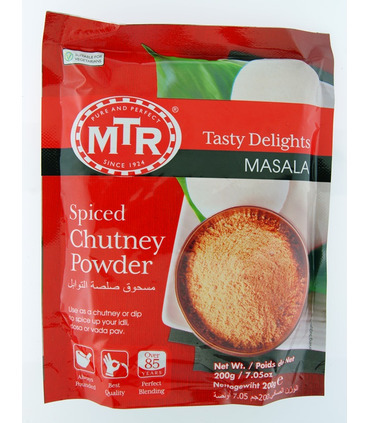 Chutney Powder, known as ‘Molaga Podi’ in Tamil is a spice powder that is prepared by grinding pulses with chillies. It is a hot accompaniment served with idlis, dosas, uttappams etc. 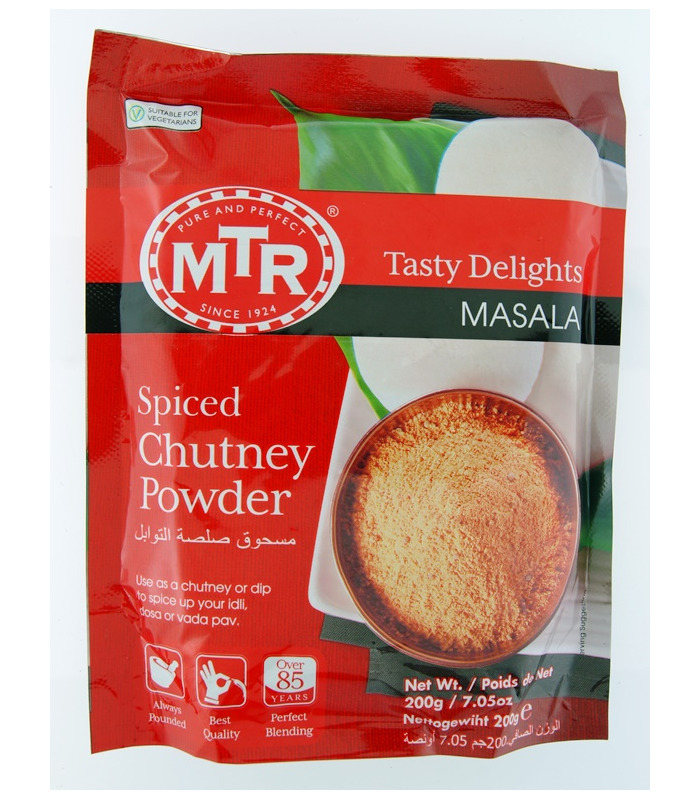 Mix one spoon of the chutney powder with a little sesame oil or any other oil to make a paste and serve. This is also a tasty and quick addition to your South Indian meal when you don’t have the time to make sambar and coconut chutney. It can be used to prepare masala idli – add mustard seeds, chillies, curry leaves to oil. Then add spiced chutney powder and stir on low heat. Then add whole idlis or broken into pieces. Chutney Powder, known as ‘Molaga Podi’ in Tamil is a spice powder that is prepared by grinding pulses with chillies. It is a hot accompaniment served with idlis, dosas, uttappams etc. 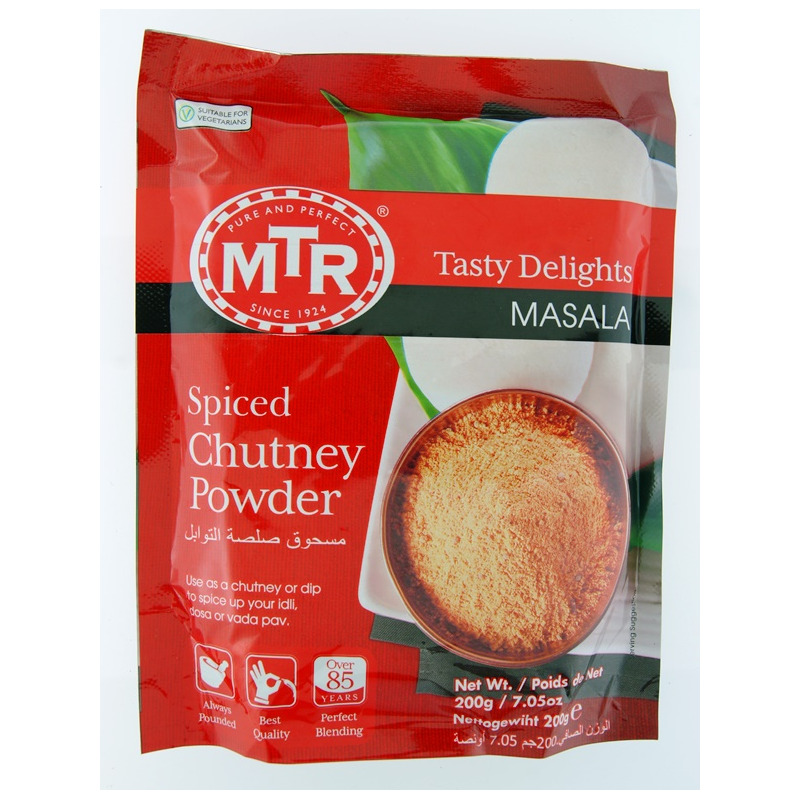 Mix one spoon of the chutney powder with a little sesame oil or any other oil to make a paste and serve. This is also a tasty and quick addition to your South Indian meal when you don’t have the time to make sambar and coconut chutney. 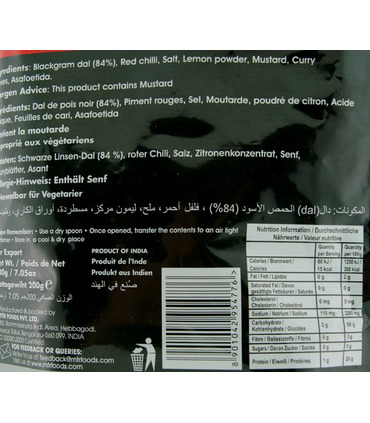 It can be used to prepare masala idli – add mustard seeds, chillies, curry leaves to oil. Then add spiced chutney powder and stir on low heat. Then add whole idlis or broken into pieces. 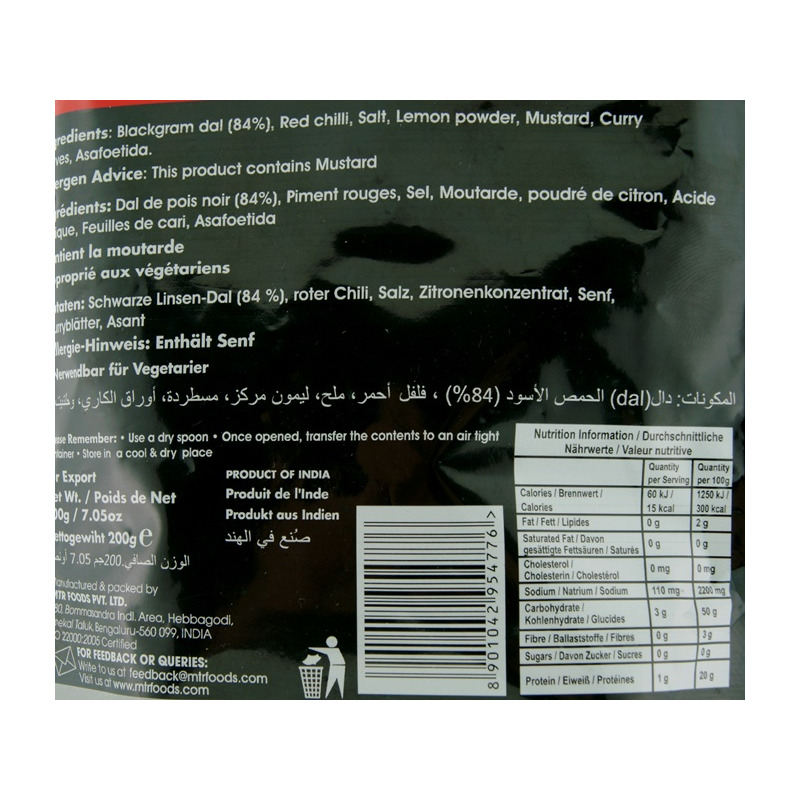 Black Gram Dal 84%, Red Chilli, Salt, Lemon Powder, Mustard, Curry Leaves, Asafoetida.